Tell us what you need for your booth. 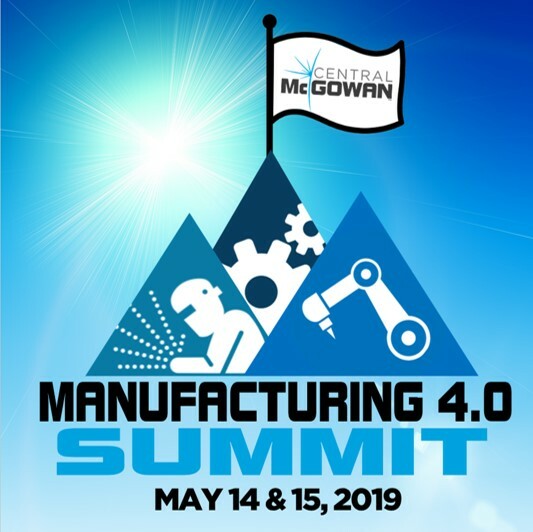 Our 2019 Manufacturing 4.0 Summit on May 14 (11 AM to 7 PM) & MAY 15 (9 AM to 4 PM). Just fill out this simple form. We really appreciate it! PLEASE NOTE THE TIME CHANGE FOR THE SECOND DAY: 9 AM to 4 PM! * 6. ARE YOU A CUSTOMER OR VENDOR-PARTNER OF CENTRAL MCGOWAN? * 7. PLEASE CONFIRM WHICH DAY(S) YOU WILL HAVE A BOOTH. * 8. HOW MANY 8x8 BOOTH SPACES DO YOU NEED? * 9. WHAT ARE YOUR POWER NEEDS? * 10. WHAT EQUIPMENT / PRODUCT WILL YOU BE DEMOING? * 11. ANY OTHER SPECIAL NEEDS / REQUESTS? That's it! You're registered. We'll be following up as needed. If you have questions before then, don't hesitate to contact Julie Berling at JulieB@CentralMcGowan.com OR 320-267-4336. Thank you!